Recently I posted a number of posts that have touched on aspects of the 1% tourism levy collected by hospitality establishments throughout Ghana paid by the customers themselves to help fund tourism activities. There was one entitled HAPPY WORLD TOURISM DAY 2 COLLECTING THE TOURISM LEVY which dealt with the problems collecting the levy even though operators do not pay the levy! As well, the post advocated for spending the money on marketing and selling. Another post entitled HAPPY WORLD TOURISM DAY 2014 AND GHANA TOURISM IS NOT AN EMBARRASSMENT dealt with what NOT to spend the proceeds of the tourism levy on…. And lastly there’s a post entitled NKRUMAH’S LEGACY that advocates spending the tourism levy on tourist attractions. Well this post is a combination of the two-what to spend money on and what NOT to spend money on! Christopher Scott What happened to the zonal awards scheme: coastal, forest, savannah, northern that was created by the GTA to cut down on expenses? I didn’t ask about funding the event. Did you know that from 2008 to 2013, no awards ceremonies took place, no national event nor any regional events, and the ones held in 2008 were zonal events? Now with approximately US$2,000,000 in the tourism levy coffers individual regional awards are back!!!! Now we are back to what to spend the tourism levy on…and again it’s on tourism attractions. This article appeared on September 30, 2014 entitled TOURISM SITES ARE DETERIORATING focuses on slave camp tourism sites in the Upper East. Responsible tourism governance is key to the success of the tourism industry. Am I the only one speaking out against public funding of private sector awards. Perhaps the regional associations should fund their own awards ceremonies and leave the precious funds in the tourism levy coffers for projects benefiting the countrywide industry. 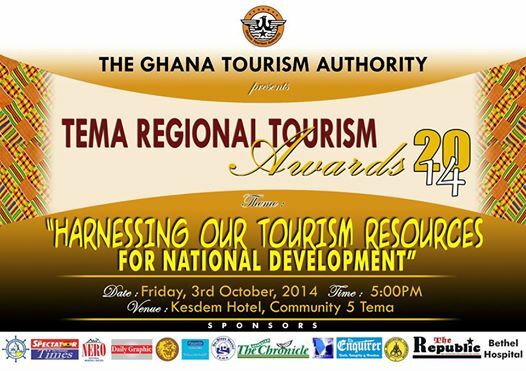 And let the energies and talents of Ghana Tourism Authority personnel go towards benefiting Ghana’s tourism efforts! ← MALAWI: 30 DAY VISA FREE ENTRY FOR TOURISTS!